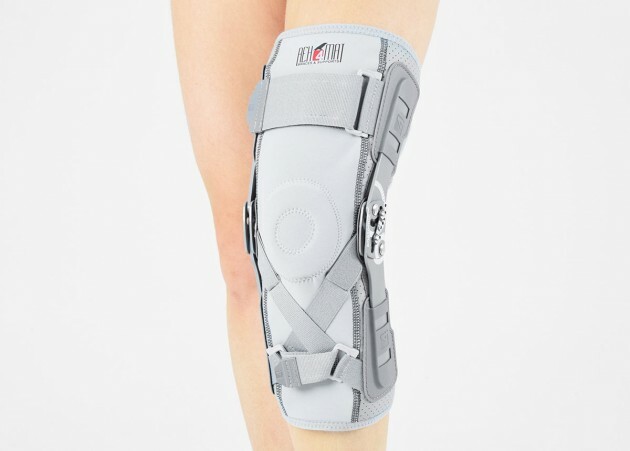 EB-SK/2RA knee brace is closed construction professional medical device, which increases the gait quality and is the support in rehabilitation of the locomotor system. It stabilizes knee joint and support the muscles insertions. It is made of a structural material ProFit, what means professional fitting. This is a 2-layer fabric, perfectly fitting patient’s body, stretching in all directions and modelling the limb- creating, so-called, the second skin. The device is equipped with two independent sets of Velcro straps, ACL support and 2-axial anatomic sides splints 290 mm long. The splints are manufactured with high quality of aluminium alloy with sanded, durable cover what makes them neutral to the influence of sweat and salt. The splints have hyperextension block in 15o, flexion in 75o and in immobilization in 0o. By maintaining the constant temperature and elastic compression the brace has analgesic and reducing swelling competences. It absorbs effusions and bruises after injuries. The knee brace is light, so it is the great solution as an support during the work or sport. The side parts are made of innovative material called AirSanmed. AirSanmed is not elastic what provides excellent stabilization. The skin has contact with cotton terry with Oeko-Tex Standard 100 certificate. There is semi-rigid perforated foam EVA inside that protect the skin against the metal splints influence. External side of the fabric is perforated medical laminate with antibacterial properties of Silver Zeolite. It provides long-term efficacy and prevents against the most dangerous infectious microorganisms such as MRSA and E.coli. AirSanmed is accordance with Health Minister`s ordinance of 3 November 2004 and Council Directive 93/42/EWG of 14 June 1993. 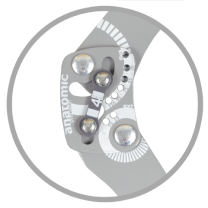 Splints 2RA Precision are a double axis anatomic splints which reflect the knee movement and during performance do not change their position towards the joint axis. Splints 2RA are double axis polycentric splints, with coupling mechanism with two main conductive elements which move of parabolic tracks. Such splints are mainly used in all knee joint braces and, apart from angle adjustment, the high lateral knee stabilization is very important. The splints are manufactured with high quality of sanded aluminium, durable cover which what makes splints neutral to the influence of sweat and salt. Flexion and extension angle adjustment is possible with special allen screws. Every brace is equipped with special Allen key which is necessary for adjustment. Anatomic splints provides hyperextension block, 30o, 55 o, 75 o, 95 o i 110 o flexion and 15 o or 75o extension. The angle adjustment clock is secured from manipulation by unauthorized people. Standard length of the splints is: 290 and 390 mm. The splint and its design are patented in European Union by Reh4Mat company. 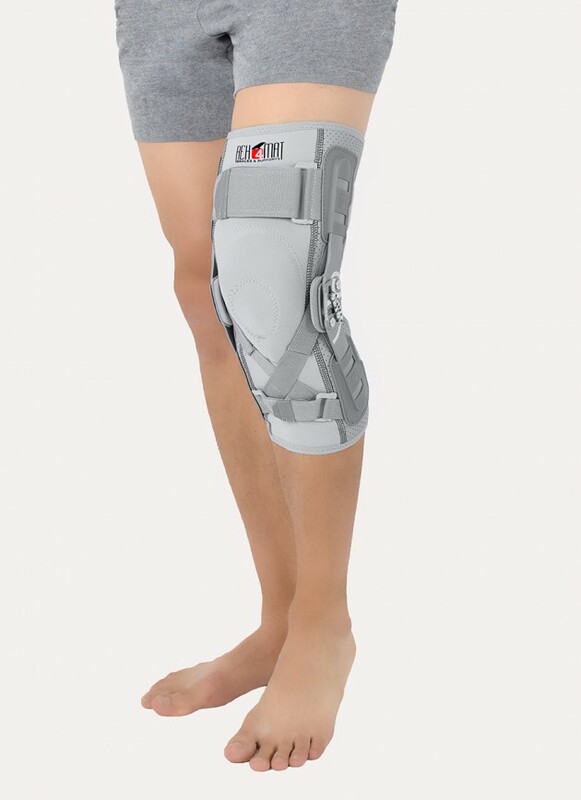 EB-SK/2 knee brace is closed construction professional medical device, which increases the gait quality and is the support in rehabilitation of the locomotor system. Knee brace EB-SK/A is the professional medical device made of a structural material ProFit meaning professional fit. It is a 2-layer fabric, perfectly fitting patient’s body, stretching in all directions and modelling the limb, creating the, so called, ‘second skin’. If you need immobilize your lower limb, but you afraid that standard size won’t fit, you should choose our universal knee immobilizer OKD-01. This brace fits in with every sizes. Closed knee brace AM-OSK-Z/S-A is a professional first class, medical product improving efficiency of walk, used in rehabilitation after damage of the knee joint. Knee brace AS-SK/A belongs to the 4SPORT group and is made of innovative, compression and skin-friendly fabric called CottonPren. This fabric is made of comfort neoprene foam with polyester lining and internal elastic terry. Knee brace AS-SKL/F belongs to the 4SPORT group. 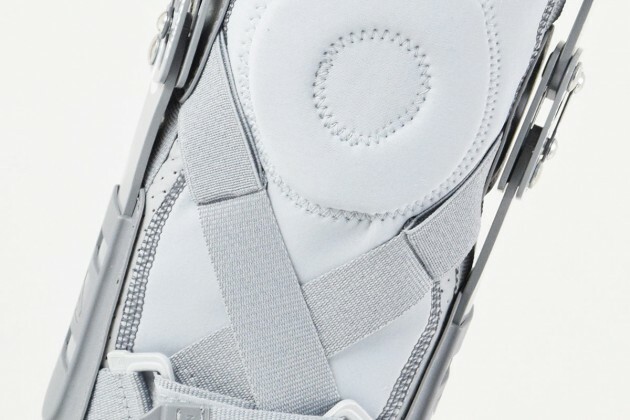 It consists of lateral stays, which protect the knee joint, VELCRO tapes and ACL support. 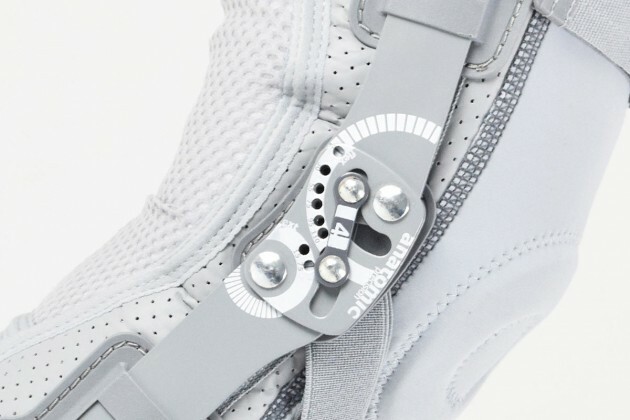 The brace is made of innovative, compression and skin-friendly fabric called CottonPren. This fabric is made of comfort neoprene foam with polyester lining and internal elastic terry. IB-SK/A knee brace is made of innovative, providing compression and skin-friendly fabric called CottonPren. The fabric is made of neoprene foam, laminated with polyester and interal elastic cotton terry. 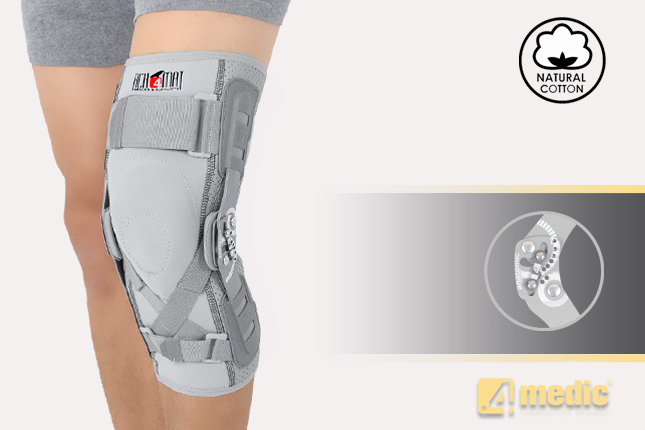 OKD-15 knee brace is the best solution for knee instability treatment. It’s made of innovative, providing compression and skin-friendly fabric called CottonPren. This material has internal cotton with OecoTex standard 100 certificate, what makes the brace neutral for skin. Long knee brace EB-SK/2RA is closed construction professional medical device, which increases the gait quality and is the support in rehabilitation of the locomotor system. Long light knee brace EB-SKL/2RA-ACL is closed construction professional medical device, which increases the gait quality and is the support in rehabilitation of the locomotor system. It stabilizes knee joint and support the muscles insertions. Closed knee brace AM-OSK-Z/S-X is a professional first class, medical product, which is a knee joint protection. It is made of innovative ACTIV PREN material. AM-OSK-ZL/2R-02 is the closed brace, made of perforated neoprene foam, which is coated with lining fabric. 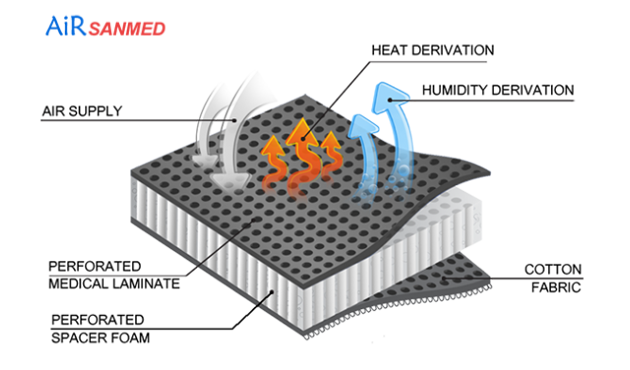 This internal perforation allows skin to breath and reduces overheating. It has four independent sets of Velcro straps.